Who says Serbian startups cannot do amazing things? You’re right: no one. In fact, one of them, CouchCoach was announced to be among the eight of the most promising European startups. 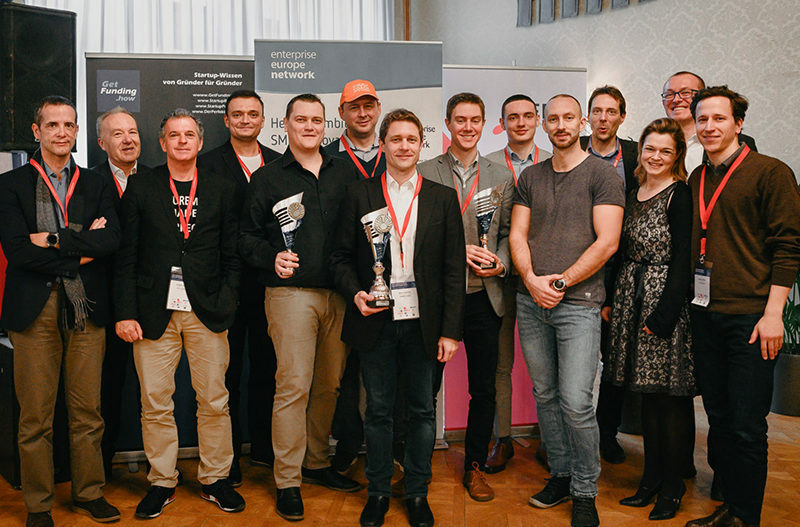 What’s more, their attendance on the 5th B2b Software days in Vienna didn’t go unnoticed. We’re proud to say they’ve become a buzz-worthy word in the tech community. If you still didn’t hear about it, you’ve must be living under the rock! Or you’re not a sports fan. To cut it short CouchCoach is an app designed for sports fans who want to actively participate in the game they’re watching. Users are, via the app, able to suggest and comment on the coach’s decisions throughout the game. Each proposal is able to score some points if it gets realised during the game, and for the ones who don’t some points get to be lost. Are we too lazy to go to the game? And the answer is a loud NO! However, the modern way of living and working with the strict hours (sometimes with lots of overtime) made us stray away from the sports halls. We just cannot be physically present at all the games we want to see. That’s why so many people opt for a second screen experience which connects us with a sports fan community and creates the feeling similar to what we have while attending the match. That is exactly what CouchCoach app is doing – creates the unique experience for basketball lovers enabling them to actively participate in the games they’re watching and connects them with the community. It’s the right time to be a basketball fan! CouchCoach founders Nenad Nikolin and Nikola Krstić have many reasons to be proud of! Their app for basketball players is becoming more and more popular. In fact, the app is so revolutionary it changes the way we’re experiencing the game. And the initial idea didn’t go unnoticed – the most significant European basketball tournament, Euroleague and regional ABA and ABA 2 leagues, as well as the Basketball League of Serbia and Basketball Federation of Serbia, decided to offer their full collaboration on this project. There are more and more users of CouchCoach application with each passing day. And their number is expected to skyrocket once the club league’s tournaments are over. Have you downloaded the app yet? If not, what are you waiting for? Think your startup is awesome, but unnoticed? Let us change that ASAP! One among the best ways to rise your brand awareness and market your product is by attending tech events and conferences by exhibiting on them. We already discussed the benefits of attending them as a company. And you even got some tips from us on what to do when attending them. We can help you skyrocket your sales and achieve greatness by offering you participation in tech events by a lower price. Just give us a shout and we will see what we can do from there!